AppleMacSoft DRM Video Converter is a powerful yet easy-to-use DRM removal and M4V conversion software that enables you to legally bypass DRM by convert your iTunes M4V videos to DRM-free MP4 video formats without any quality loss. It also can convert iTunes rentals to unprotected MP4 without limitations. Break the 24 – 48 hours watching period on iTunes rental movies! By adopting the advanced DRM decryption core, DRM Video Converter for Mac is developed to be the world’s fastest iTunes Video Converter which works at 30X faster speed with a far more better performance that surpasses any other similar iTunes DRM media converter in the market. With AppleMacSoft DRM Video Converter you can enjoy any purchased or legally obtained movie on your smart TV, smartphones, tablets, Samsung Galaxy, PS4, Xbox 360, Android or PC – without any restrictions and DRM protection. Remove DRM from iTunes legally. 30X faster speed while converting iTunes purchases or rentals to MP4. Only Works on Mac OS X 10.8 or later. 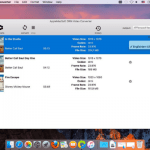 AppleMacSoft DRM Video Converter is a simple to use and feature focused application that allows the iTunes users to Leagally remove DRM restrictions and convert M4V files from iTunes to MP4 in simple yet effective manner. Being an Apple user is great. You are highly guarded and pampered. The side effect of this lavishness is that you are just stuck with them. Well, that was until AppleMacSoft DRM Video Converter was here. This amazing software seamlessly converts any M4V multimedia in to MP4 within minutes with no effect on the quality or aspect ratio of the video. There are many features that make AppleMacSoft DRM Video Converter stand out the crowd. For instance, it will remove DRM from all sorts of, purchased or rented, movies, music, videos or even TV shows into unrestricted MP4 media. Then anyone can use them on any media device even on Android devices. One of the biggest flaws that most of the times a user has to face is loss of quality when converting the media from one format to other. This is where AppleMacSoft DRM Video Converter goes par excellence. It does not depreciate a single bit either in video quality or of audio. Another star feature of this application is that it does not affect the subtitles. This is something that is rarely found in any video convertor or DRM removal application. AppleMacSoft Converter can be used on a host of Apple devices and the output runs on almost all android and Samsung devices. Therefore, as far as the system compatibility goes, it does exceptionally well. Whether you are using iPhone, iPad Air or even an Apple TV, this software is your all in one solution. If you need things done effectively and swiftly, AppleMacSoft DRM Video Converter is what you need. Even compared to other apps, this application allows the user to remove DRM restrictions and convert videos up to 30x faster. The user interface is immaculate, simple and easy to use. 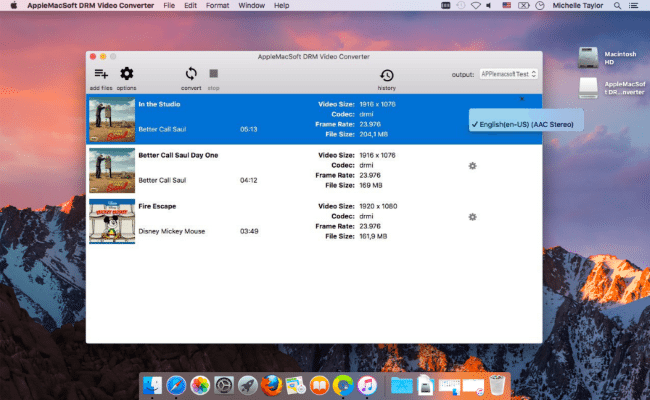 Overall, AppleMacSoft DRM Video Converter is a combination of features and functionality in a simple to use package making it one of the most effective and simple to use DRM removal and format conversion tool. Highly Recommendable! 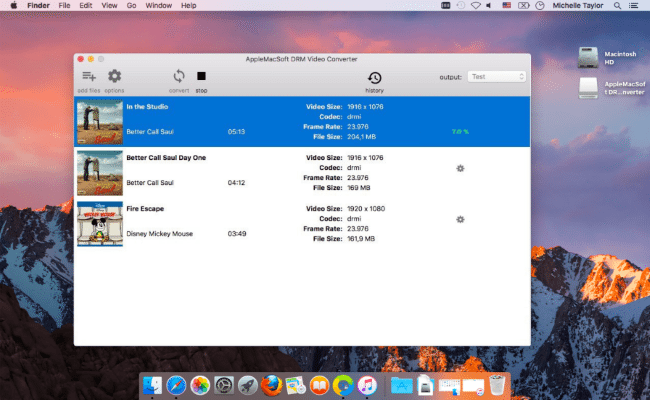 AppleMacSoft DRM Video Converter is for anyone who does not want to waste time roaming around the application to sort out the features and wants to get things done quick and easy. It legally removes DRM restrictions and converts videos into universal MP4 format up to 30x faster without losing a bit of quality. Simple and Effective!